This enzyme-based stain remover makes it much easier for stains to come out in the wash. Just add a few spoonfuls to a bucketful of water, soak overnight and wash normally for enhanced stain removal. 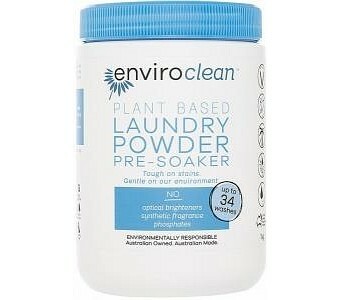 It’s non-caustic, free from chlorine and phosphates, and won’t damage cotton or synthetic fibres. It’s also safe for both whites and coloureds – just make sure to soak them separately. Try it on nappies, too!